What is Magisk? A magic mask to alter the system in a System-less way. Magisk is currently the best alternative to Chainfire’s SuperSU. Created by XDA developer Tomjohn, In fact, Magisk has better features than SuperSU in the form of modules. Rapidly, it is becoming the primary choice for custom ROM developers. SuperSU can only grant or deny root permissions for user-specific apps, But Magisk can also hide root. It can make specific apps believe as a non-rooted device. So if you root with Magisk, you can run the banking apps, Android Pay, Samsung Pay or Pokemon GO that won’t work on the rooted device. Also Recently, playstore started to block developer specified apps for rooted devices. So this will be the most needed feature in coming days. Magisk Manager app will manage Magisk Root actions and its modules. Other interesting feature, Magisk works systemless-ly i.e. it doesn’t alter your system partition in any way. So that means you can still install official OTA updates even with root. The rooting method is with phh’s SuperUser which is an open source rooting solution for Android. It also packs a Universal Systemless Interface that other developers can use to build custom MODs for Android devices without altering the system files. Something we saw in Xposed Framework earlier. Although, Magisk modules are fresh things compared to Xposed modules and there are a limited number of modules in comparison with Xposed. But this is just beginning, and Magisk is going to carry the legacy of the Xposed Framework for sure, in coming days. An Android device with unlocked Bootloader and TWRP Recovery. Magisk manager and Magisk Installer zip. Android version Lollipop or above (Android 5.0+). Magisk Uninstaller zip, in case your device didn’t boot up. Open Source: 100% open source and easy to build on all Google supported platforms. Magic Mount: Modify system (vendor) without tampering the partitions. MagiskSU: Unleash your device’s root access. Magisk Hide: Hide Magisk from detections: Google SafetyNet, enterprise / bank system integrity checks, game tamper checks. Resetprop: Modify or delete any system properties, including read-only props. Online Module Repo: Install Magisk Modules from the community driven Magisk Module Repo. Before proceeding to install Magisk in your Android Smartphone, it’s best to remove any other root (SuperSU or any). It’s better to restore back to the Stock boot.img file before starting this procedure. There are two ways to install Magisk on your Android device. Step 1. Make sure you have TWRP Recovery Installed in your Android device. If you have not installed Android recovery, you can check the Prerequisites section to find the method to unlock bootloader and install TWRP. Step 2. 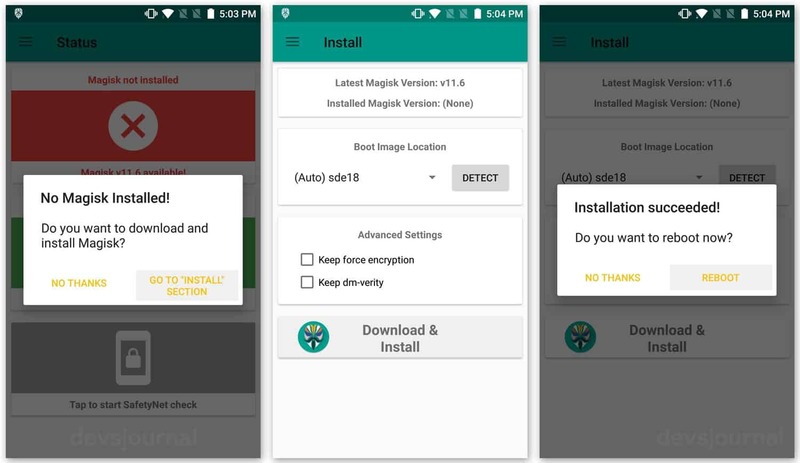 Download the Magisk installer zip file from above link and transfer it in your device’s Internal storage. Step 3. Boot your device into TWRP Recovery using the key combinations for your device and click on Install > Find the Magisk Installer Zip and confirm flashing. The flashing process might take around 1-2mins. Step 5. Open Magisk Manager and check if the the App is showing the latest Magisk version zip file we installed via TWRP. 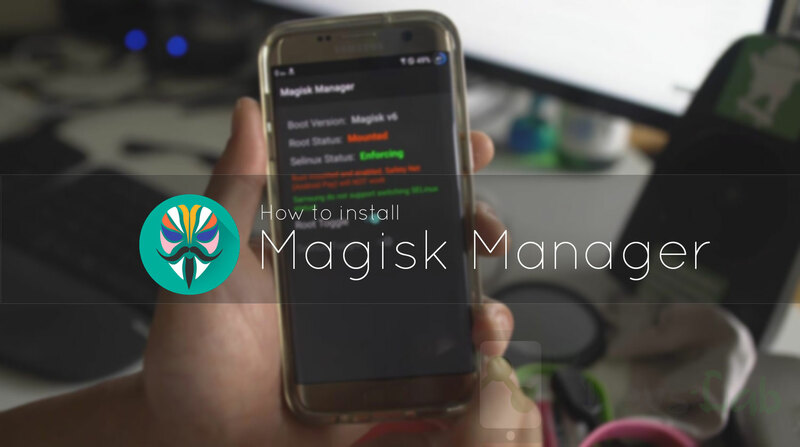 Magisk Manager can Install the Magisk Installer on your device via the app. It’s really important to take a full Backup before installing Magisk using this method. This method does not need any custom recovery. But you need to have root access to your device. Step 1. Download Magisk Manager and Open it. Step 2. Grant the root permissions and proceed with Installation of Magisk. Step 3. Confirm the Installation and Reboot the Device as it prompts. Now install the phh’s SuperSu from Playstore to enable the Root Access and Grant the Root Access to the App. You are all set and ready to try out some Magisk modules, by downloading from the Modules section in Magisk Manager. Busybox, Adblock, Viper, Nexus launcher are among the popular modules. If you come across other excellent modules, be sure to share it with us in the comment section below. 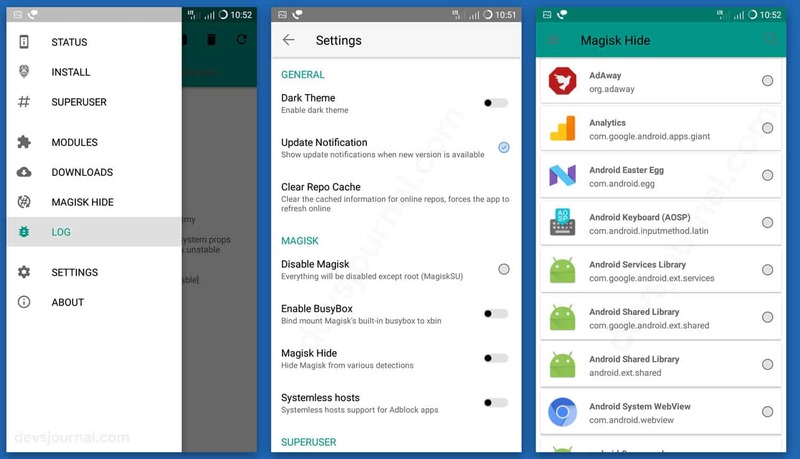 To hide root from an application, you will first need to enable it in Magisk settings. Go to settings> Enable the option named Magisk Hide. You can now tap on it and select the apps that you want to hide from the Root access. Still, If your device does not boot, you have to restore the previous backup. Just like Xposed Framework, Magisk Didn’t have any list of supported devices. So Every device may not support this Magisk. Developers are fixing the with every release to support the maximum devices. Mostly It is found “ Not supported for most of the custom ROMs.” So If you have a rooted phone with unmodified system ROM that comes with your Device, Magisk should work with your device.